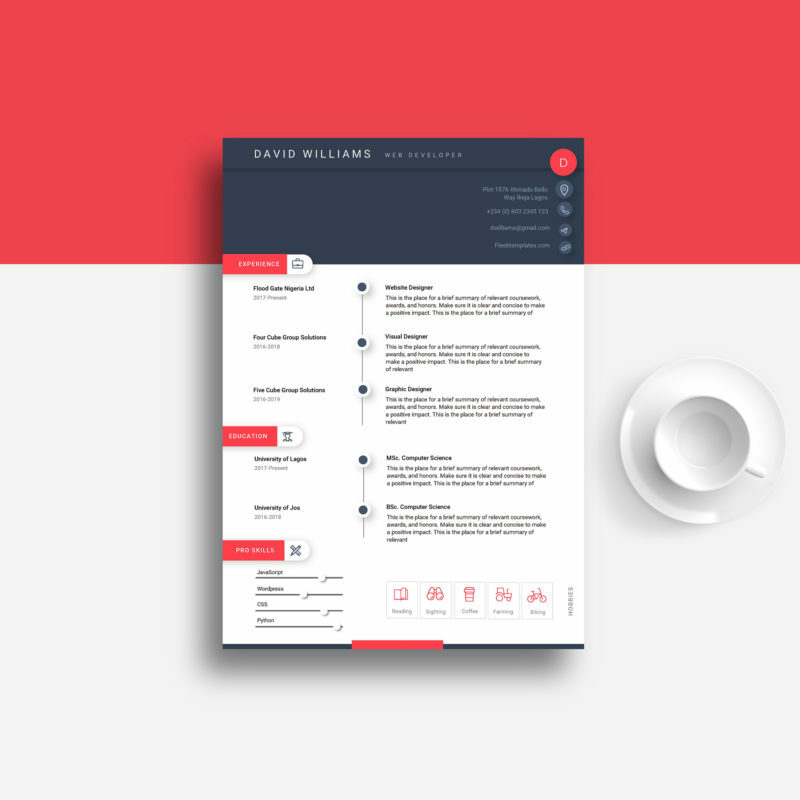 Inspired by Google’s Material Design, this CV template was designed with careful attention to details to ensure that you capture all of the information required in a well professional manner. The elegant multipurpose design ensures that the template is easy to use and customize, so you can quickly tailor-make your CV/ resume for any opportunity and help you to get your dream job. This professional CV Resume template is made in Microsoft Word highly organized so every Microsoft word user can edit it like a pro. Easily edit the typography, wording, colors and layout.